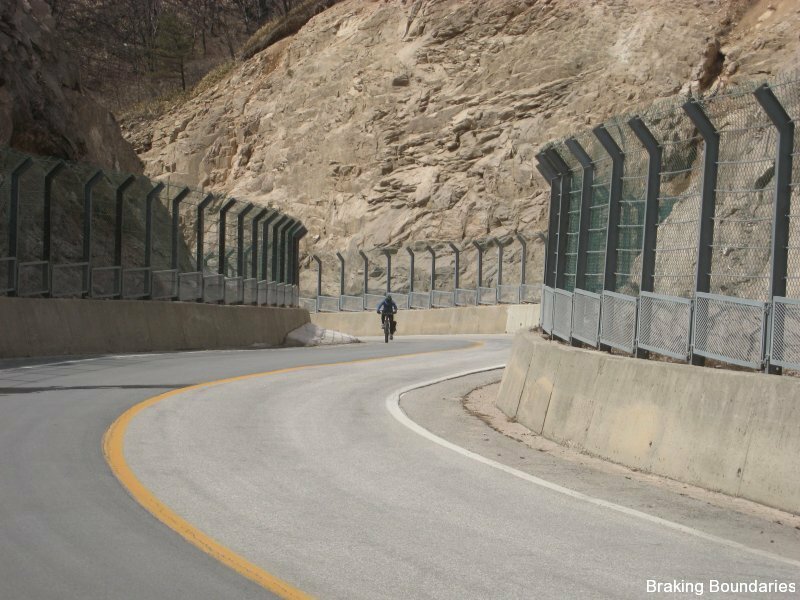 Was going through this years cycling photos this evening looking for a couple of good ones for an article that I am writing about cycling in Korea, when I realized that I hadn’t put any of my photos up any on the Braking Boundaries site this year. 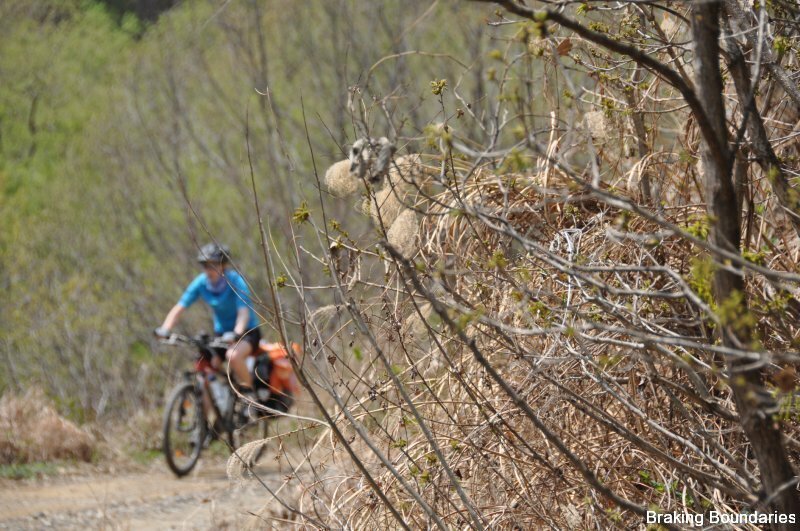 So here are my favorite pictures from this spring. 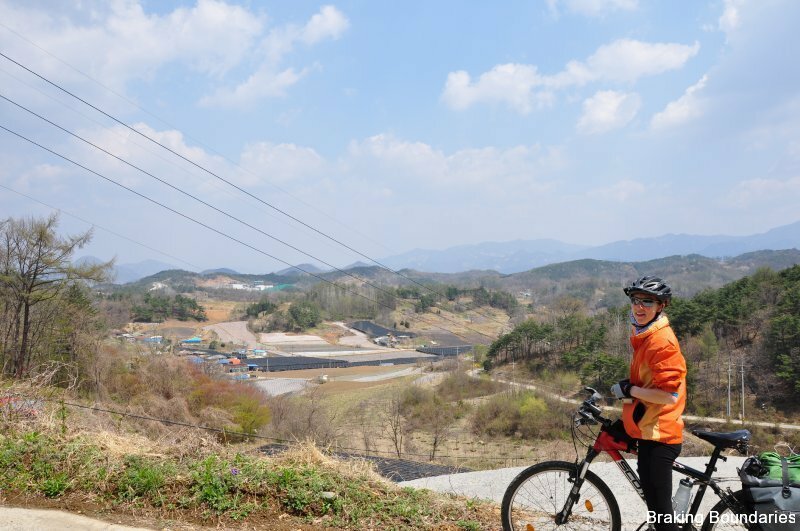 April 3rd 2011 – Riding the mountains of Seoraksan Park near the village of Osaek. 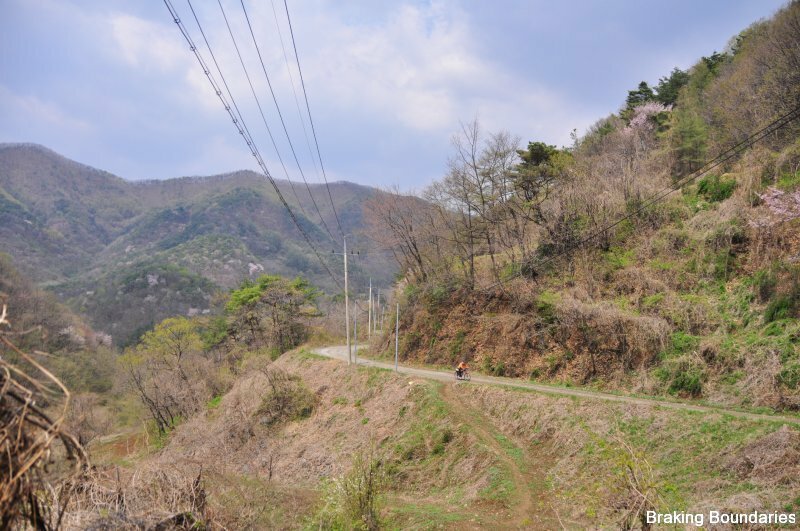 April 3rd 2011 – Found a new road with a killer 18% incline. 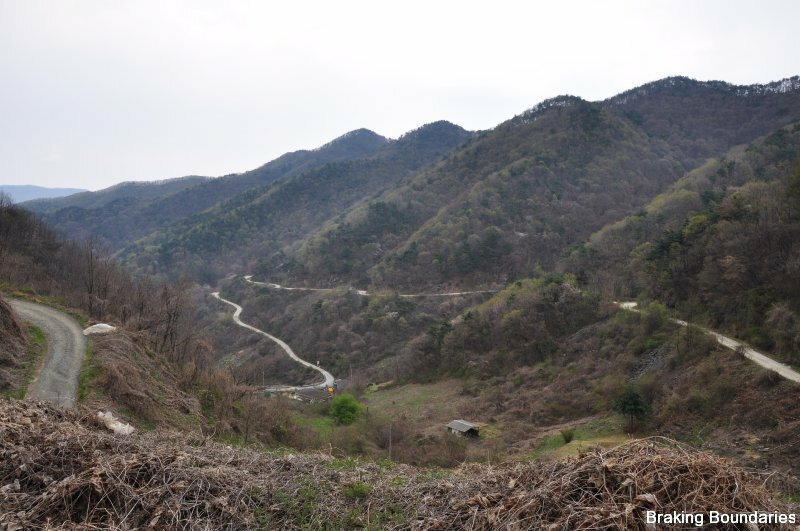 Fun to go down, not so much going back up. 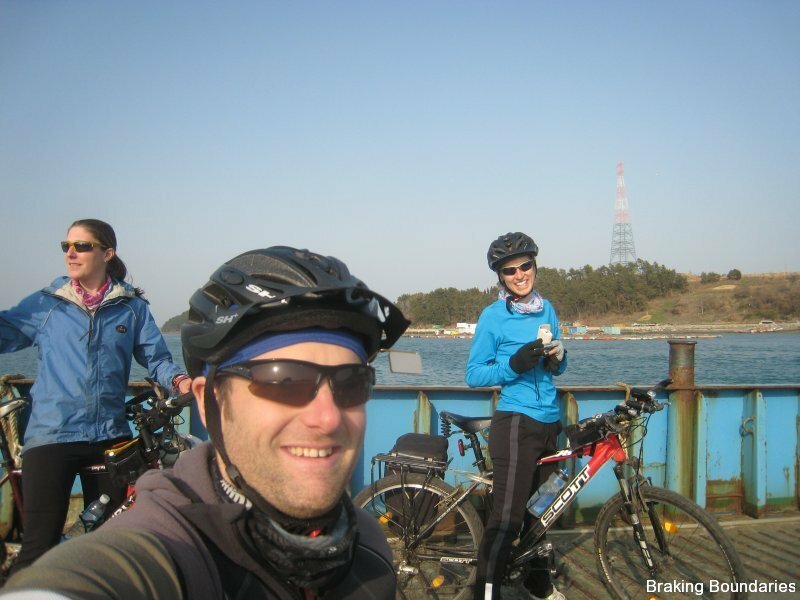 April 9th 2011 – Evening of the 400km Brevet on the ferry back to the mainland realizing we wouldn’t be able to finish so we hatched our own biking mission finishing a total of 283 km before arriving back in Gwangju at 3am. 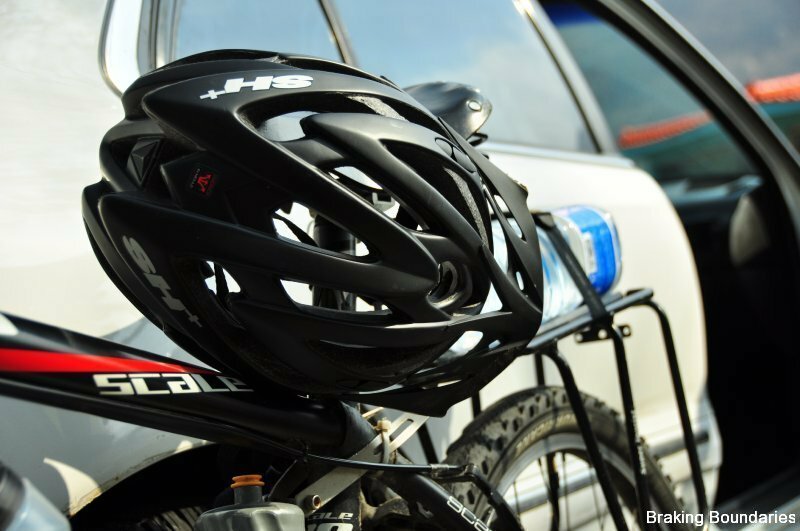 April 23rd 2011 – New helmet ready for its maiden voyage on dirt roads and in the mountains to Danyang. 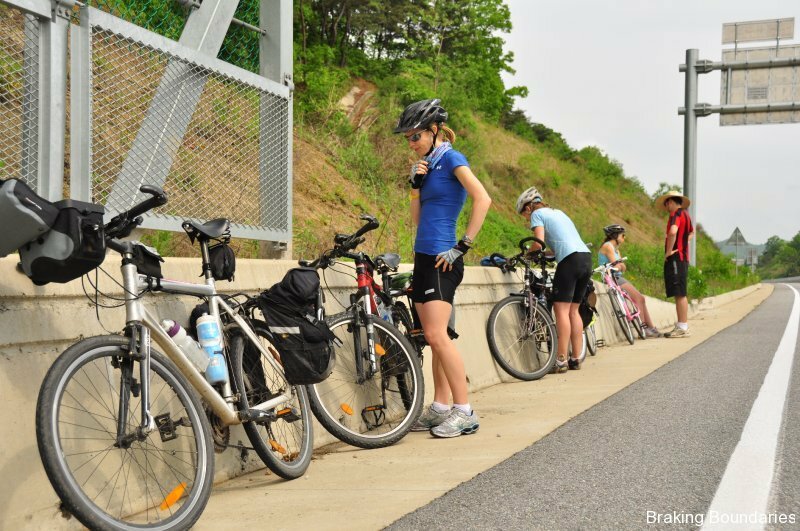 April 23rd 2011 – Katie Eichten packs her Orlieb panniers for the first time. Turkey looms closer every day. 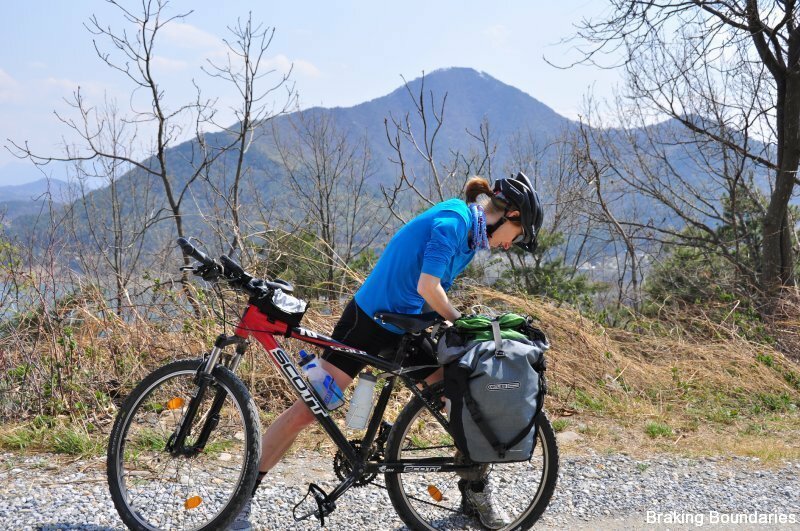 April 23rd 2011 – Relentless ups and downs on dirt road for over 30km. 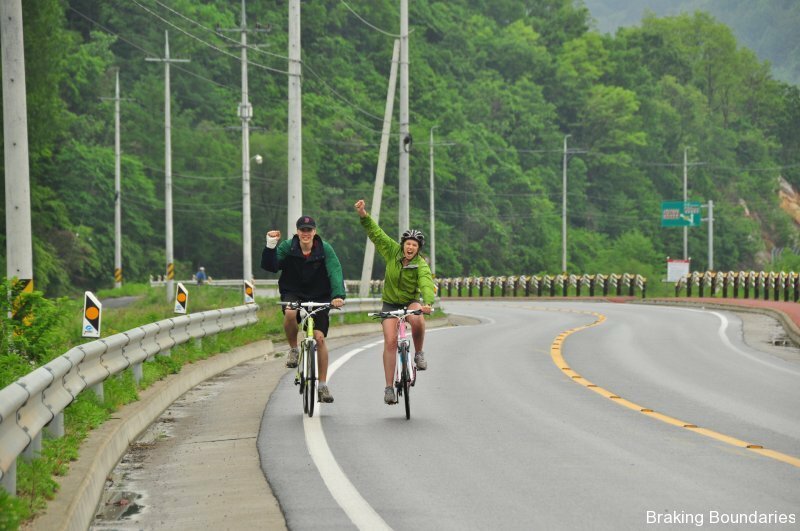 Rare in Korea. 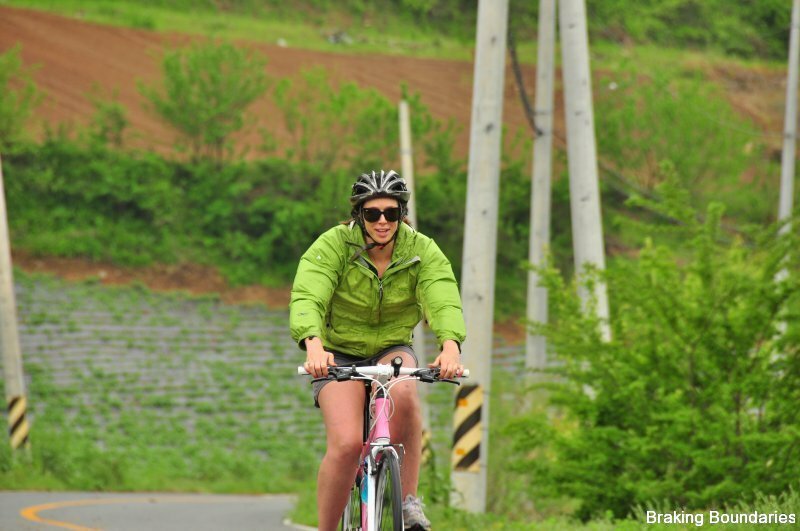 April 23rd 2011 – Katie Eichten works her way up yet another climb. The first time she has been on a dirt road for this long. 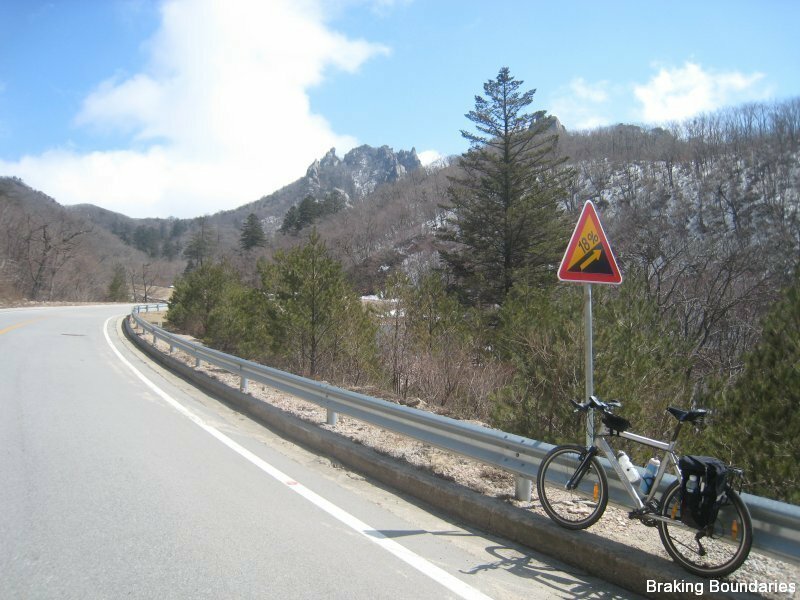 April 23rd 2011 – Strapping stuff down as the wind picks up making it tough going. 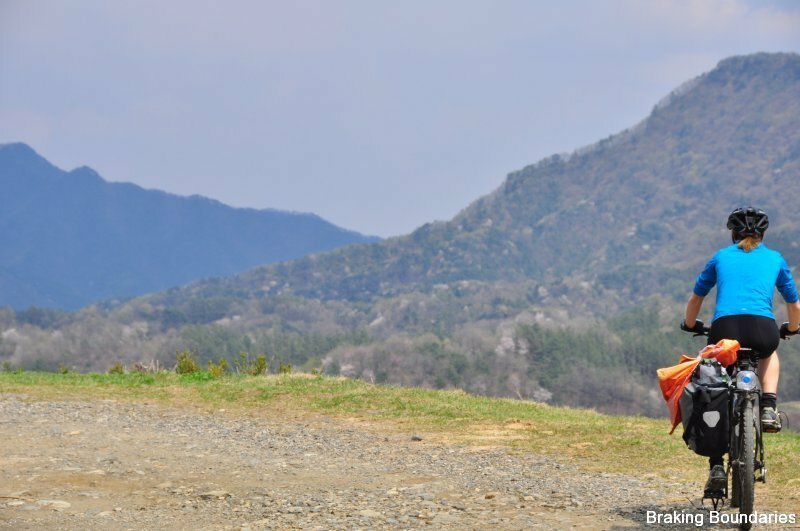 April 23rd 2011 – Stopping for a breather and to take in the shear beauty of Korea in the spring. 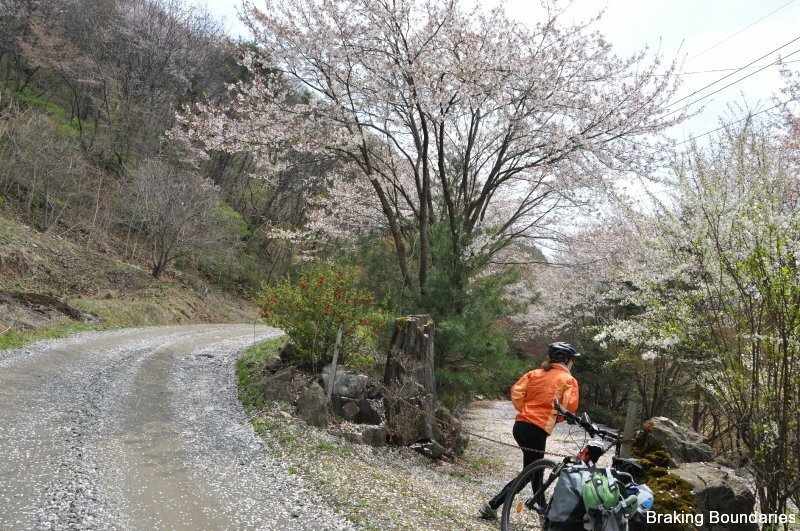 April 23rd 2011 – On the other side of the lake where the road is lined with Cherry Blossom trees at their best. 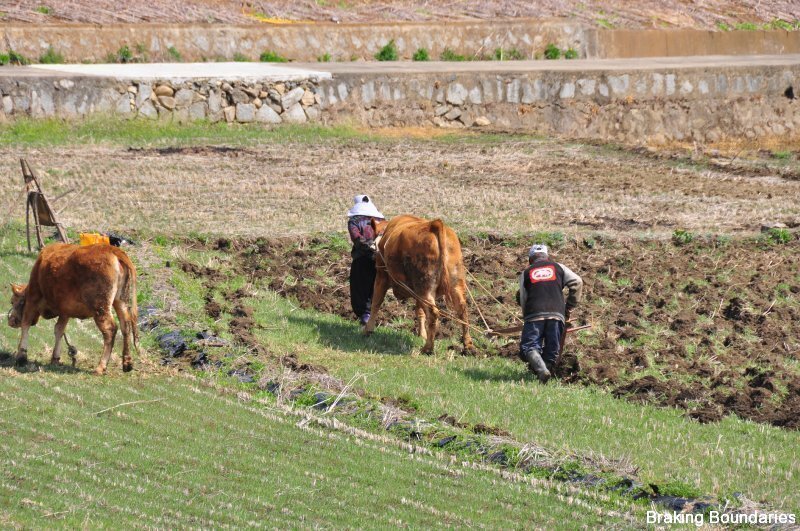 April 24th 2011 – All because Seoul is a modern city doesnt mean the rest of Korea is. 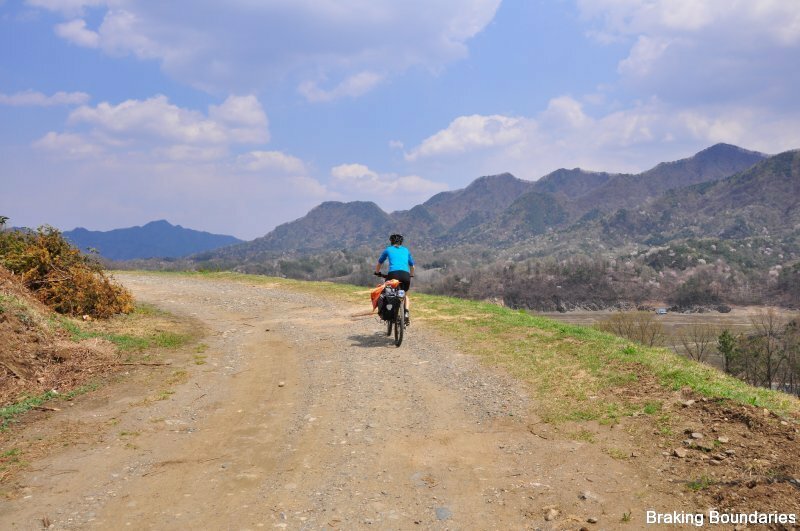 April 24th 2011 – Well off the beaten track up concrete roads behind small farms. 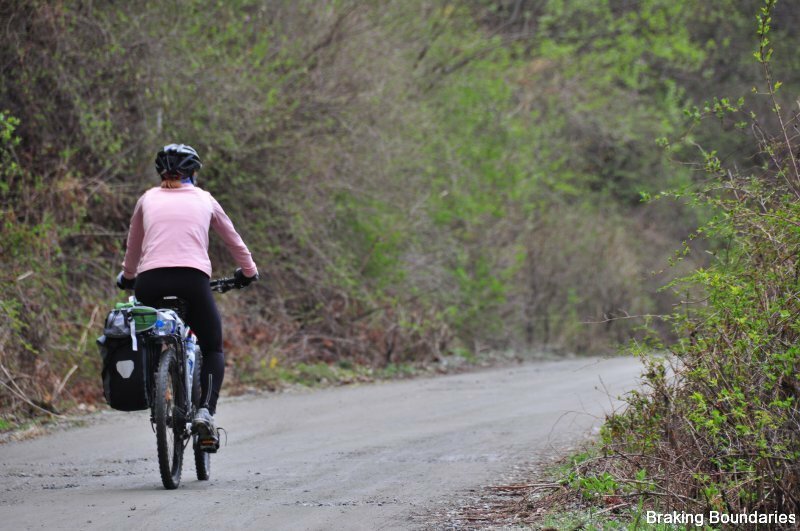 April 24th 2011 – What, more dirt roads. Katie struggles to understand how I can all this a shortcut when the sign added 10 km to our destination. 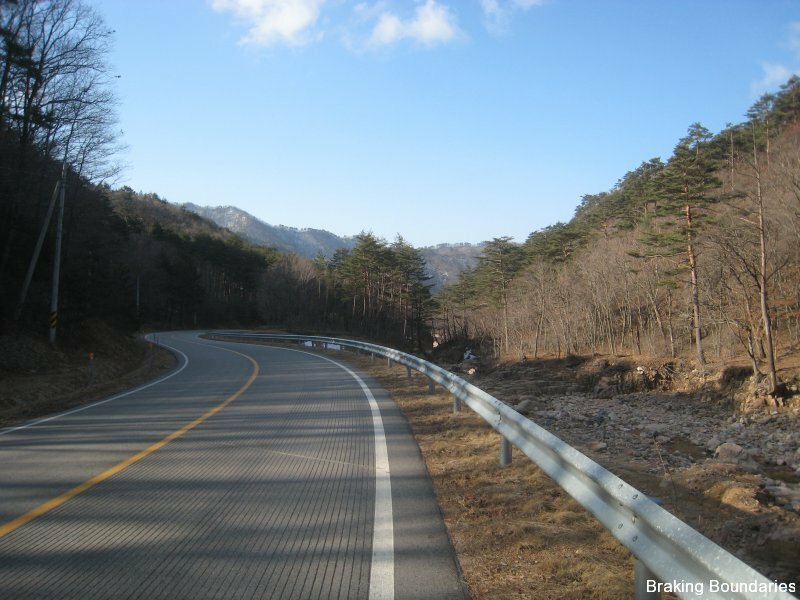 April 24th 2011 – Getting closer to Chungju, but still on the dirt. 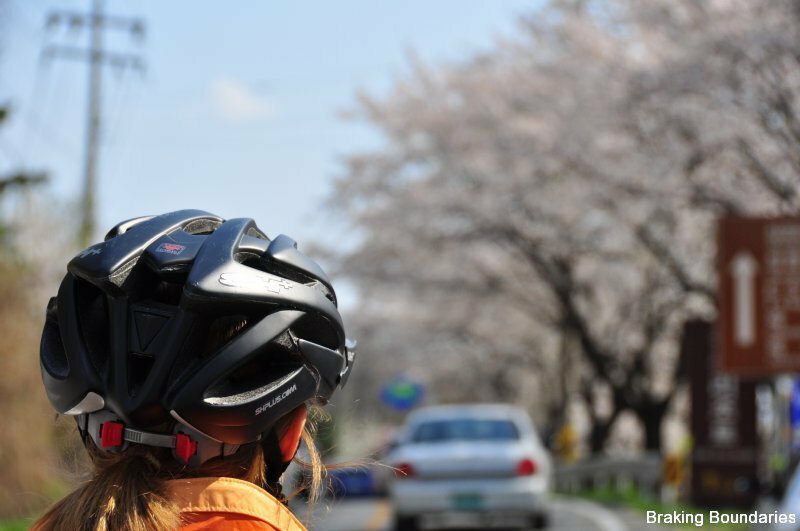 April 24th 2011 – One of my favorite pics of spring. 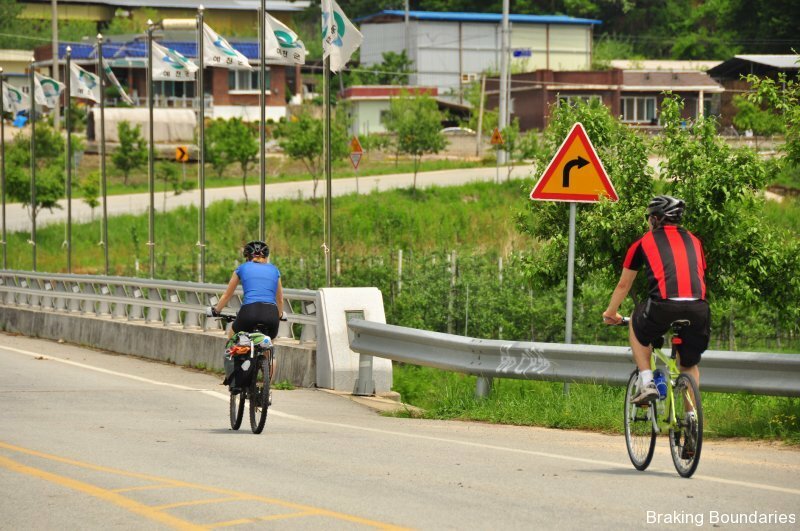 Korea, simply a great place to ride. 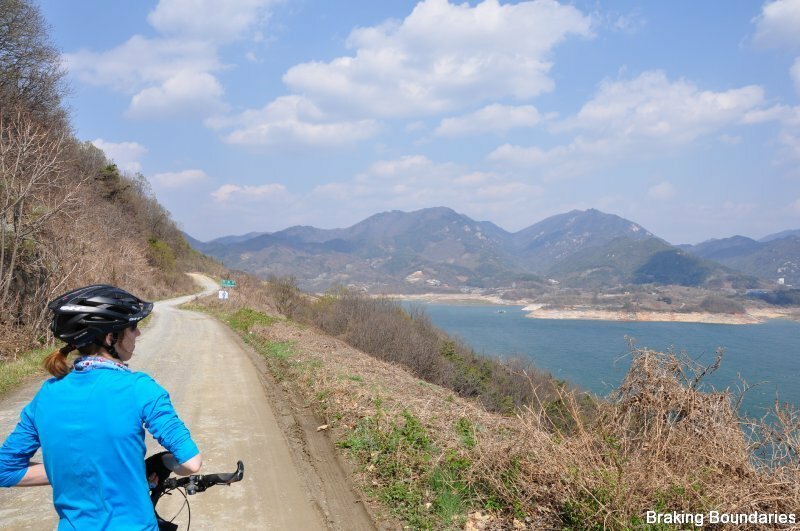 May 1st 2011 – My first ride with the Chuncheon crew and a huge day of climbing the mountains in Gangwondo to the Peace Dam and back. 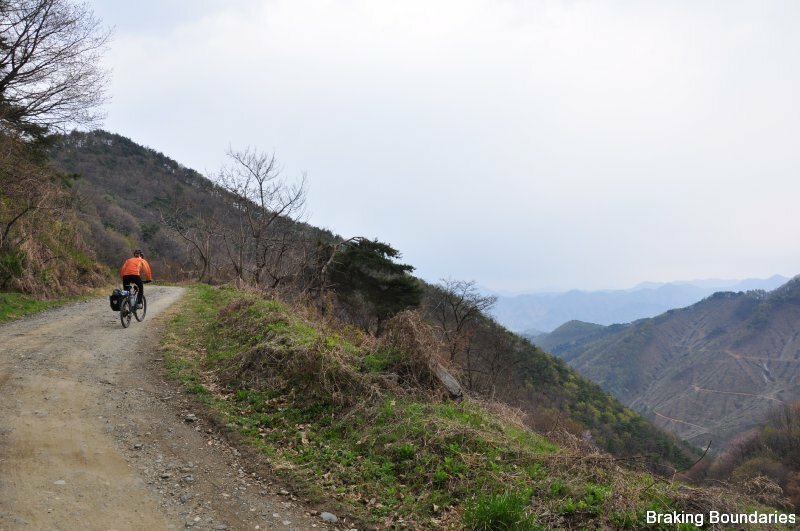 Days elevation of 3000 meters. 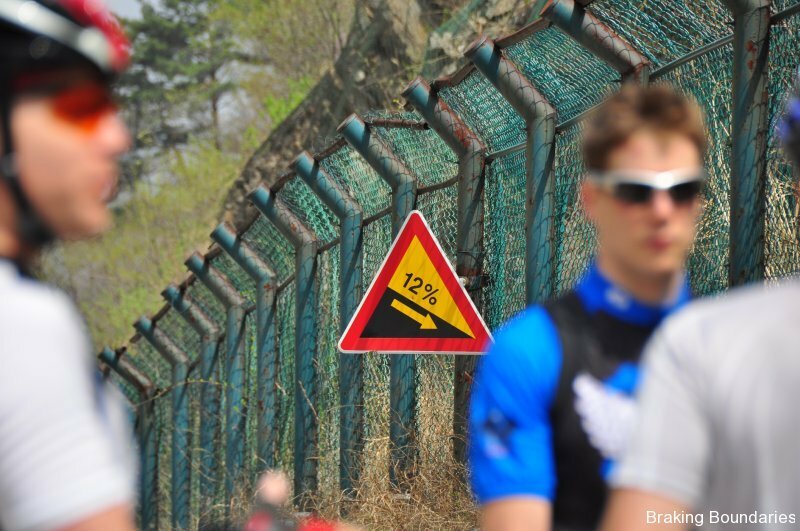 May 1st 2011 – 12% down, most likely meant it was 12% up. 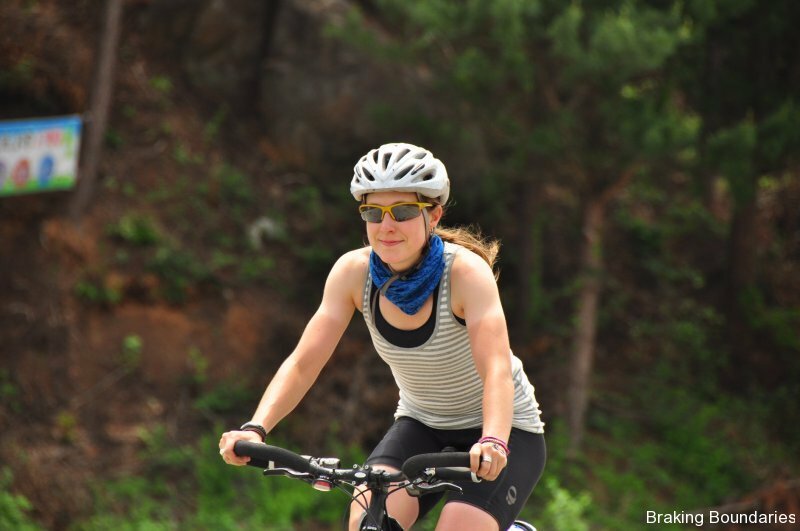 May 21st 2011 – Suzie Heibel breaks in her new Scott bike. First time ever on a weekend adventure. 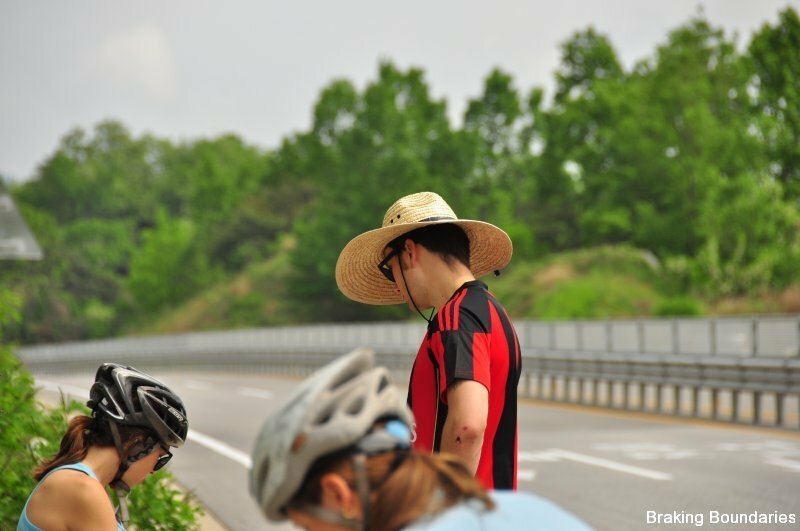 May 22nd 2011 – Andrew Godlewski sports his hat from the previous nights dinner festivities. 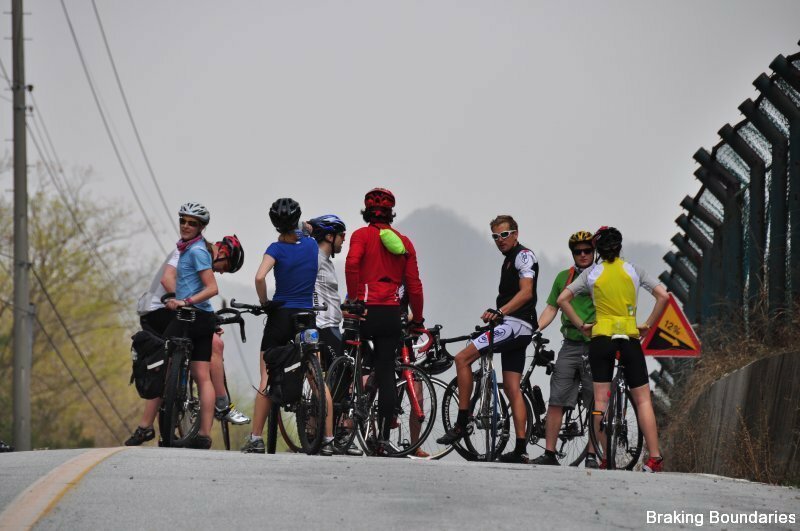 May 22nd 2011 – Tibbs rocks along to pass everyone and make to the top of the mountain first as usual. 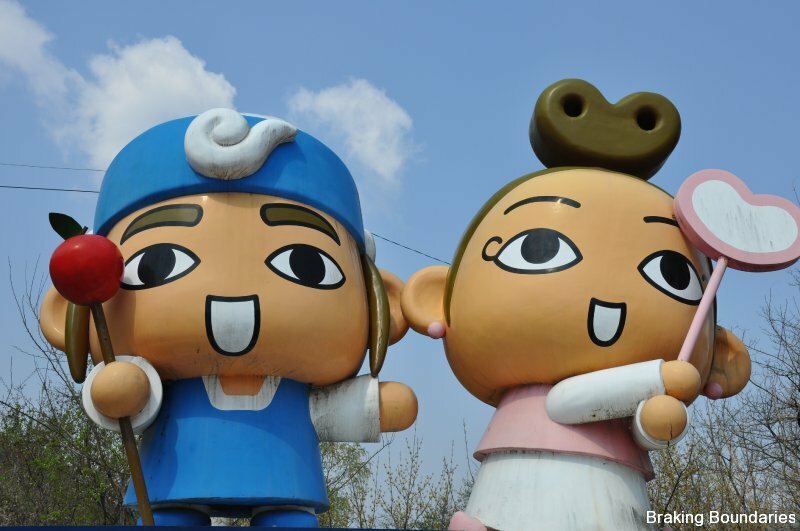 May 22nd 2011 – Weird and wacky cartoon characters mark the change of a province.